The first phase of a research study conducted by Sell My Timeshare NOW, LLC, shows that people who buy timeshare understand the product, and buy timeshare resales because they recognize the value and benefits timeshare ownership can provide. Sell My Timeshare NOW's research is very positive, showing a stable industry where people buy timeshare resales because they understand the product. The decision to buy timeshare should not be an impulse buy. 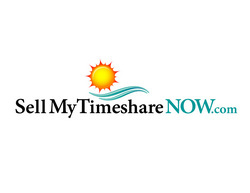 Sell My Timeshare NOW, LLC, a leading timeshare resales and timeshare rentals advertising and marketing company, has completed the first phase of a multi-part timeshare buyer research study. Nearly 36 percent of the research participants in the study indicated that they wanted to buy timeshare resales because they recognize it as a way to save money on the purchase price of timeshare weeks or timeshare real estate. Another 31.5 percent identified that owning timeshare real estate is a great way to vacation. Other reasons given for wanting to buy timeshare resales included the flexibility to research the best vacation property deal for themselves (11.8 percent) and, buying timeshare resales because they offered access to specific amenities such as golf, water sports or skiing (4.9 percent). 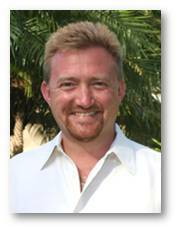 According to Steve Luba, Sell My Timeshare NOW's director of communications, "Only 16 percent of the people who want to buy timeshare resales on our site said they were doing so in order to avoid high-pressure sales presentations at timeshare resorts. This directly counters the perception that on-site sales tactics hurt the industry and speaks well of an overall positive image of timeshare sales, both as new properties and as timeshare resales." Sell My Timeshare NOW's study included only qualified participants, meaning that the respondents had already placed an offer to buy timeshare before they were asked to participate in the study. Of the more than 2100 respondents, none were casual web surfers or 'window shoppers' on the Sell My Timeshare NOW timeshare resales and timeshare rentals website. All participants in the study did so anonymously. Because phase one of the study was conducted over a four-month period, Sell My Timeshare NOW believes the participants represent a genuine demographic cross section of timeshare buyers. The company's founder and CEO, Jason Tremblay says, "Sell My Timeshare NOW's research is very positive, showing a stable industry where people buy timeshare resales because they understand the product. The decision to buy timeshare should not be an impulse buy." Sell My Timeshare NOW is an internet marketing company that provides timeshare owners a way to advertise their timeshare resales for purchase or rental, creating an extensive inventory of timeshare resales on their website, attracting both timeshare buyers and timeshare renters.